One way to obtain a comprehensive education is to attend one of the many medical billing schools that are available online. There are advantages as well as disadvantages to this type of education which this article will explain. The obvious advantage to online medical billing schools is that you can attend classes and study in the convenience of your own home in accordance with your schedule. Most people who choose online medical billing schools have busy schedules, work full or part-time jobs, and/or have families to care for. One disadvantage for some people, is that participating in an online class requires self discipline and internal organization. 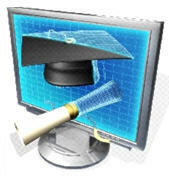 Most online schools are self paced for obvious reasons and lack the structure of on site classes. The point is, it is important to stick to the course schedules. Most of these schools provide you with hands on training to build you billing and coding skills. Some offer training on commonly used software which, I think, is a great advantage. One thing to keep in mind is that some of these schools can be expensive. So, just be sure to explore all your options prior to committing to online medical billing schools. Comments: I was asked to promote getting a study partner enrolled. Smooth talking salesman. Some class cirriculum information available online. Free laptop is used as an incentive to sign up. Comments: Called back immediately after submitting email request for information. Very helpful, somewhat pressing. They would not identify software used other than that it was very expensive. Some course detail available online. Comments: If the website is anything to go by, than this medical billing school is a winner. The website includes very detailed information about the courses and also includes pricing which isn't common on these sites. There are a wide variety of courses to choose from and, while study time is flexible, there are some time contraints which provide the impetus to get the coursework done.